I’ve been a licensed REALTOR® for over 14 years. I’ve seen Real Estate change over the years. Clients demanding better commission rates while our expenses are steadily increasing. I’ve quickly adapted to the new way of selling Real Estate and I decided to open a Brokerage that exclusively gives our Realtors a NEW WAY of selling Real Estate. 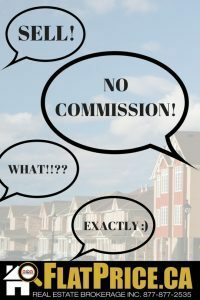 Our agents can earn up front Flat Fee Commission all the while our clients are paying no to little commission. If you are looking for a career in Real Estate I would be happy to sit with you and discuss the opportunities. Here at FlatPrice.ca Real Estate Brokerage, I strongly believe that a successful career begins with a positive attitude, a willingness to learn, the love of your family and most importantly, enjoying what you do.